First, I’m gonna hit you with the visuals. Isn’t this a great Halloween poster, courtesy of Chris Muir? Charlie Martin does a fabulous (no exaggeration) job explaining how real insurance works and how Obamacare perverts and ultimately destroys real insurance. I don’t think he says anything that you and I don’t already know and that we didn’t predict years ago, but I’m greatly impressed by how accessible he makes complex ideas. If you have a tween or teen, or a liberal relative or friend who has never actually contemplated how the real world works, you could do a lot worse than forwarding Martin’s post to them. 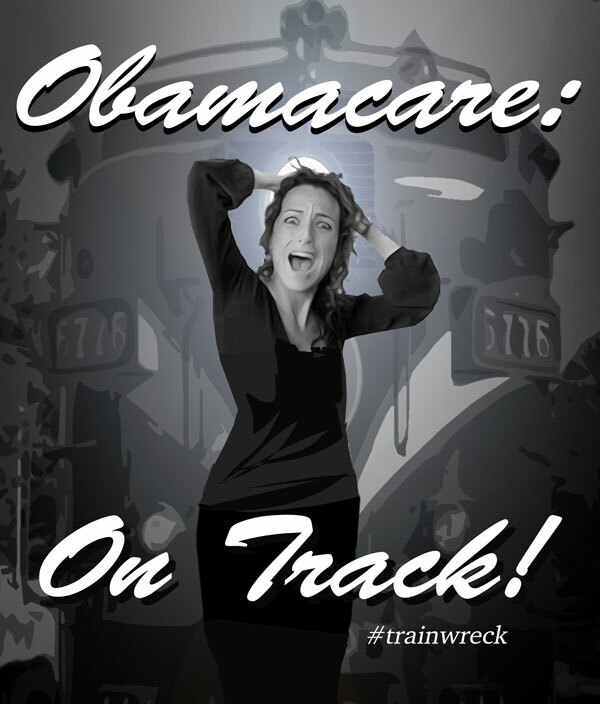 Sebelius has taken full responsibility for the Obamacare rollout debacle. In a normal world, she’d be standing on a street corner now with a sign saying “Will work for food.” In Obama-world, she will keep her job until she decides to leave. When she does leave, she’ll get on the speaking circuit and make $30,000-$50,000 for a 45 minute speech touting what a wonderful job she did. After all, it’s worked for Hillary and Holder, so why shouldn’t it work for Sebelius? As she’s already made clear, she doesn’t work for the people who actually pay her salary (that would be you and me) but, instead, works for much more important people who also get their salary from us. It’s easy to confess a sin when you know that you need not fear either punishment or repentance. All the liberals are piling on Obama now. The most recent is the WaPo’s Dana Milbank. I’m unimpressed. All of these things about Obama were obvious in 2007 and in every year thereafter. Before about two minutes ago, the same people now criticizing him were either lying through their teeth when they praised him and his plans, or they were pathologically dumb to the point of complete mental retardation. So now, when the damage is done, suddenly they’ve discovered that Obama has managed to be simultaneously corrupt and ineffectual. Who cares. What I want, and what none will do, is to see these people issue the groveling apologies that the American people deserve, and to promise to bring a swift, impeachment-style conclusion to the most corrupt presidency ever.